Protesters took to St. Louis streets for a second night Thursday after an off-duty officer killed a teen who fired at him three times, authorities said, reports CNN. Police arrested eight people: five on accusations of unlawful assembly, two for alleged property damage and one on a marijuana possession charge, St. Louis police spokeswoman Schron Jackson said. One officer suffered minor injuries and two police cruisers were damaged, Jackson said. 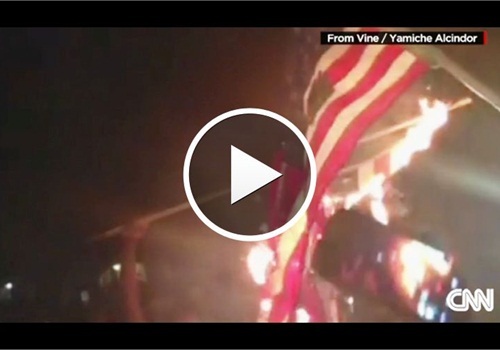 Protesters also burned at least one American flag, CNN affiliate KSDK reported.